CSAT Paper-2 Study Material for UPSC Prelims Exam 2019 | IAS EXAM PORTAL - India's Largest Community for UPSC Exam Aspirants. We all know that Civil Services is one of the most prestigious career option today. Only a few out of lakhs are able to come on the Successful candidates list. UPSC has changed the Pre Exam pattern from 2011 if you will see the last two years questions papers of prelims you can analyze the nature of questions come in the exam. Above all it is the most important part of the preliminary examination as it is non conventional & all new pattern. It is more important than GS also because CSAT questions carries 2.5 marks/question (200/80), as against 2 marks/question of GS (Paper 1) (200/100). 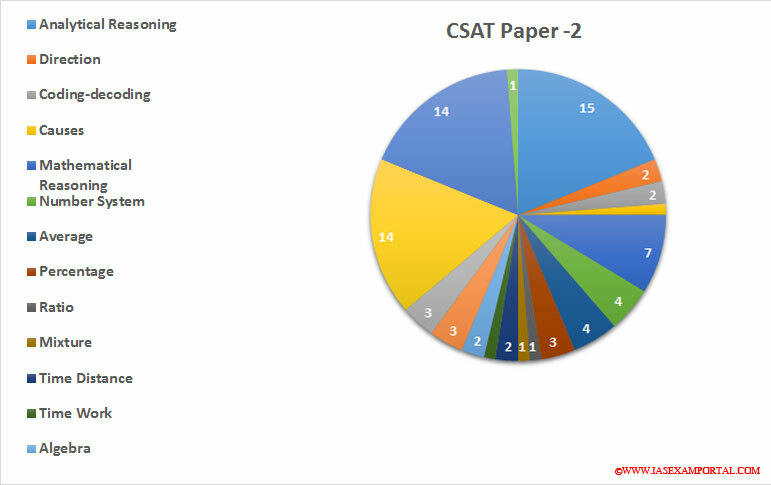 It is quite clear now that most of the students fail to qualify Preliminary Examination because of CSAT (Paper 2). The second paper of pre consist of 200 marks and it includes subjects like Comprehension & English Language Comprehension, Interpersonal Skill & Communication Skill and Decision Making & Problem Solving, General Mental Ability, Logical Reasoning and Analytical Ability, Basic Numeracy, Data Interpretation and Data Sufficiency. But availability of good and relevant material is a big problem specially for fresher’s, therefore we have compiled a Paper 2 Study Kit for you in a single platform and most importantly of very low cost's in hard copy. The concept of this Study Kit is to help candidates in their civil services preliminary exam preparation or ad valorem to their preparation of Preliminary Examination. where we will provide all the required materials at one go in Hard Copy, at the same time we will give special attention to important parts. If one works hard and has the potential he/she can crack this step quite easily. Firstly to cover 100% civil service preliminary examination (IAS) syllabus. You will Get 6 booklets of (i). Comprehension & English Language Comprehension, (ii) Interpersonal Skill & Communication Skill and Decision Making & Problem Solving (iii) General Mental Ability, Logical Reasoning and Analytical Ability (iv) Basic Numeracy (v) Data Interpretation and Data Sufficiency & Practice Booklet of MCQs.